Hartsville, S.C. – Mar. 4, 2015 – William Carswell, associate provost for academic affairs and associate professor of music at Coker College, has been selected to participate in the 2015-2016 Senior Leadership Academy. Co-sponsored by the Council of Independent Colleges and the American Academic Leadership Institute, the Senior Leadership Academy is a year-long program for mid-level administrators in higher education who aspire to senior leadership positions in independent colleges or universities. Participants will acquire knowledge, skills and experience central to the work of a college or university vice president or cabinet officer. The program consists of two seminars led by current and former presidents and vice presidents, readings concerning senior campus leadership, a Professional Experience Plan, mentorship by the participant’s nominator and the program director, executive career coaching and structured conference calls with the participant’s mentor and the program director. The Academy’s program director is Tom Kepple, president of the American Academic Leadership Institute and president emeritus of Juniata College. He is the former vice president of business affairs at Sewanee: The University of the South and former provost of Rhodes College. The Senior Leadership Academy is supported by the American Academic Leadership Institute and Academic Search, Inc.
Carswell has served as associate provost for academic affairs at Coker College since December 2013. 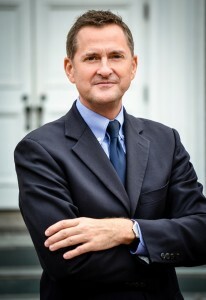 In addition to his responsibilities as associate provost, he has served as associate professor of music in the department of dance, music and theater since the fall of 2002, teaching courses on choral conducting, music methods, choral techniques, and directing several music ensembles. Carswell earned a Doctorate in Musical Arts from the University of South Carolina, a Master of Music degree from Florida State University, and a Bachelor of Music Education degree from Appalachian State University.